You can choose any or all of our traditional paella recipes; meat, seafood or vegan. Each authentic recipe uses genuine Calasparra rice, first grade saffron threads and the finest, fresh, local ingredients. However, just as the Valencians have always made adaptations to suit availability, so you too can speak to us about your particular requirements. We pride ourselves on offering a personal service and Señor Paella catering can help you to achieve exactly the dishes you want, whether you're guests are meat, vegetable or fish lovers. 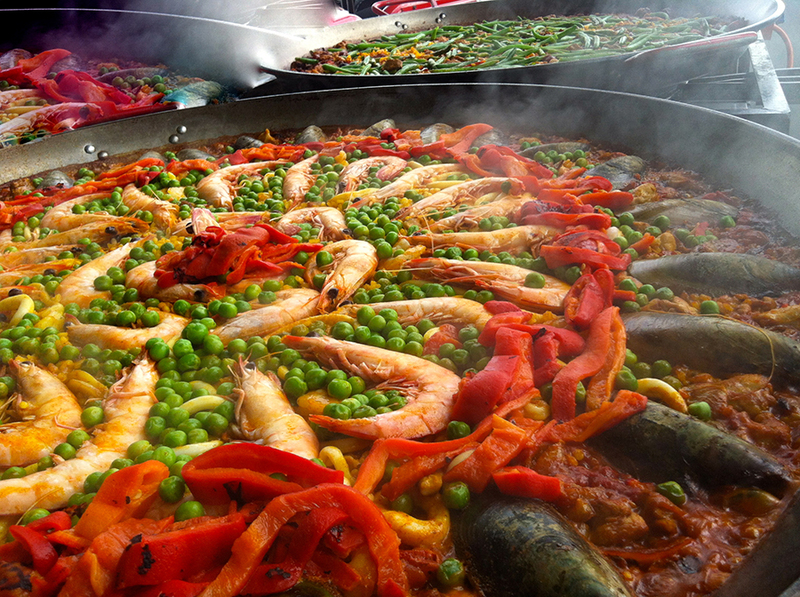 For larger events, we can even provide 2 or even 3 separate pans of different paella recipes! Truly spectacular! Although paella was created to be a complete meal in itself, we understand that you may wish to ‘add a little something' for your guests. We have a simple variety of extras to help you with this, all carefully chosen to complement the style and tradition of a Spanish paella. Have a look at our Extras; you'll find everything from fresh salad and bread to authentic Spanish cheese and olives. Or give us a call, we love to hear your ideas!